All Saint Leonard homes currently listed for sale in Saint Leonard as of 04/23/2019 are shown below. You can change the search criteria at any time by pressing the 'Change Search' button below. If you have any questions or you would like more information about any Saint Leonard homes for sale or other Saint Leonard real estate, please contact us and one of our knowledgeable Saint Leonard REALTORS® would be pleased to assist you. "RARE FIND! 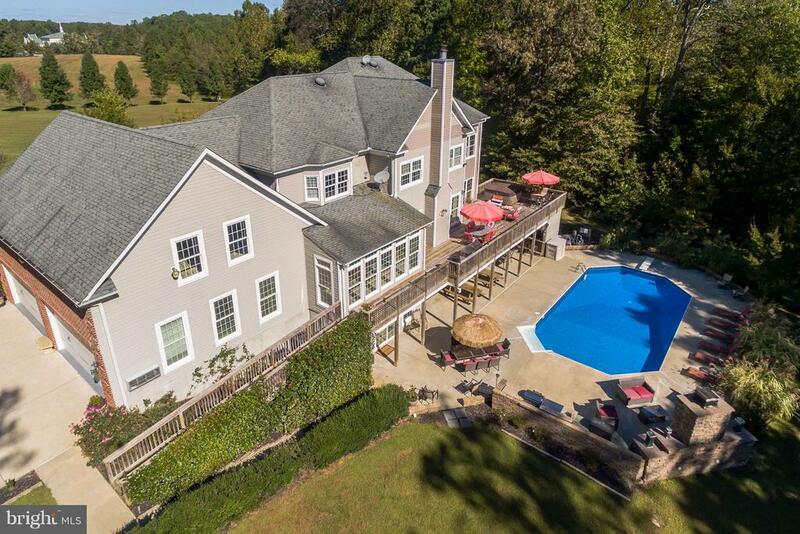 SPECTACULAR WATERFRONT Home on 13.64 acres. Striking home from land and water sides. 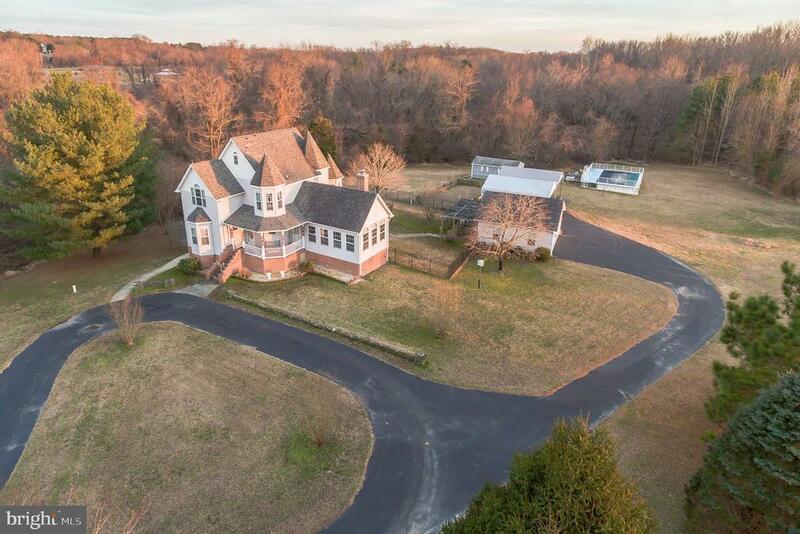 Panoramic views of the Patuxent River. 250' pier w/lift, Private Beach and In-ground pool. Large Barn with Fenced area and stalls. Detached 2 Garage with extra work space. Owner's suite with private deck with amazing views. Stone and brick fireplaces, gourmet kitchen that runs the width of the home and an enclosed entertainment area conveniently located off of the rear deck and pool area. Shown to qualified buyers by appointment only." "COUNTRY ESTATE with the ultimate in convenience and lifestyle! 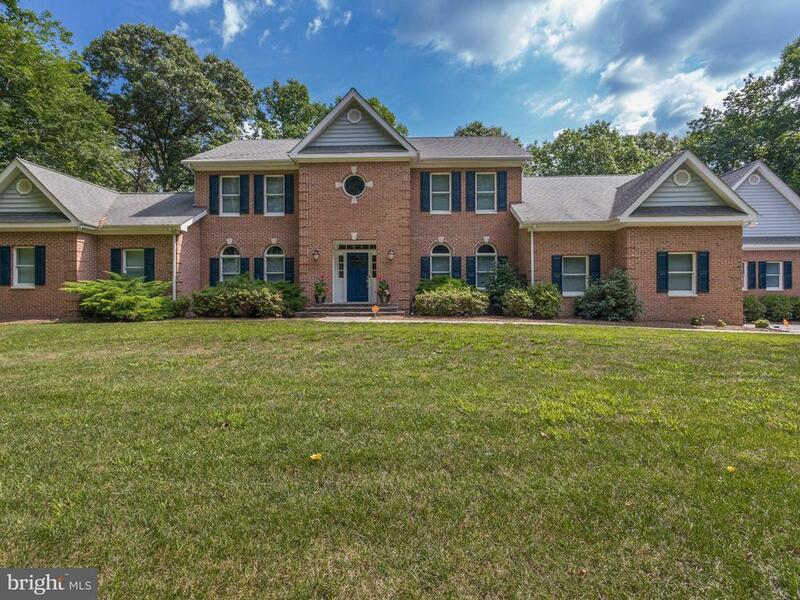 Gracious Colonial on 27 acres is positioned for maximum privacy with convenient location for commute to DC/NoVA. GORGEOUS acreage for the hunter or nature-lover. Subject to future planning, the possibility may exist for an extra lot or lots. Three levels finished for a total of 9156 sqft (5919 above grade and 3237 sqft below grade from appraisal measurements), with great attention to detail for a complete active lifestyle at home. Hardwood flooring and new carpet styles, huge gourmet kitchen with multiple seating areas and a built-in table for 4. Living spaces include a family room connected to the kitchen area, also a more formal living space with sunroom. Main level bedroom and full bath is great for guests. Oversized 30 x 41 garage is a fully functional shop with built-ins, upgraded power source, separate HVAC zone. Extra power service brought to the home, ready for a separate outbuilding in future. Home has large scale bedrooms and baths, private gym and office within huge owner's suite wing. Lower level includes a complete separate apartment with bed/bath, second kitchen. Be prepared to entertain with an amazing outdoor living space. Full-size outdoor covered bar, in-ground pool, outdoor kitchen, large stone fireplace for year-round use. Hot tub on main level deck conveys. YEAR-ROUND FUN awaits with an incredible lower level designed for total party and play! Full inside bar, dance floor, huge family room area, game space to the max. Nine-seat home theater furnishings and equipment conveys. SHOWN BY APPOINTMENT ONLY TO PRE-QUALIFIED BUYERS." "The best of waterfront living in premier St. Leonard Shores with beautiful views of St. Leonard Creek. Spacious deck for entertaining & lots of privacy on large level lot. Home was recently remodeled with upgrades throughout. Open floor plan & fireplace. In addition to 7 bedrooms & 4.5 baths, property also includes in-law apartment plus pier permit and deeded boat slip at community pier. Call now!" "Country Living at it~s Best!Beautiful 4BR/4.5 BA traditional brick front home on three level acres with mature oak and cherry trees. ~4,400 sf Living Space. This spacious, well- kept, open floor plan, home has had numerous updates over the last 5 years: The upgraded gourmet kitchen features ample storage with two pantries and gorgeous cherry cabinets. You~ll also find under cabinet lighting, exotic granite on a huge custom built center island, granite counter tops, Wolf range with pot filler, warming drawer, copper prep sink, wine fridge, ice maker, microwave, refrigerator, dishwasher, and custom light fixtures.Brazilian Tiger wood flooring continues throughout the ground level. Both Master and Hall baths have been completely remodeled with new granite counter tops and fixtures, double sinks, rain showerheads, tiled showers and floors. Master also has a large soaking tub! Extra master suite above garage includes en suite bath and walk-in closet. Remodeled Basement includes game room and home theater areas, private office, full bathroom and large storage area. Home has new exterior lighting, new Therma Tru exterior doors with multi-point locking system for exceptional security. Heating / cooling system replaced with a Water Furnace Geo-thermal system 3 years ago. Hot water heater replaced at same time & is heated by Geo-thermal system. Average utility bill reduced by approx. 50%. Enjoy your beautiful and private, professionally soft scaped & hardscaped backyard. Includes an in~ground saltwater pool with recently replaced mesh safety cover, pool liner and filter. You~ll enjoy S~Mores any time you choose when you light up a fire in the back yard fire pit. Storage of pool supplies, outdoor furniture and yard equipment is easy with the convenient located out-building. Paved driveway leads to a three-car garage. Recent appraisal done on the property." 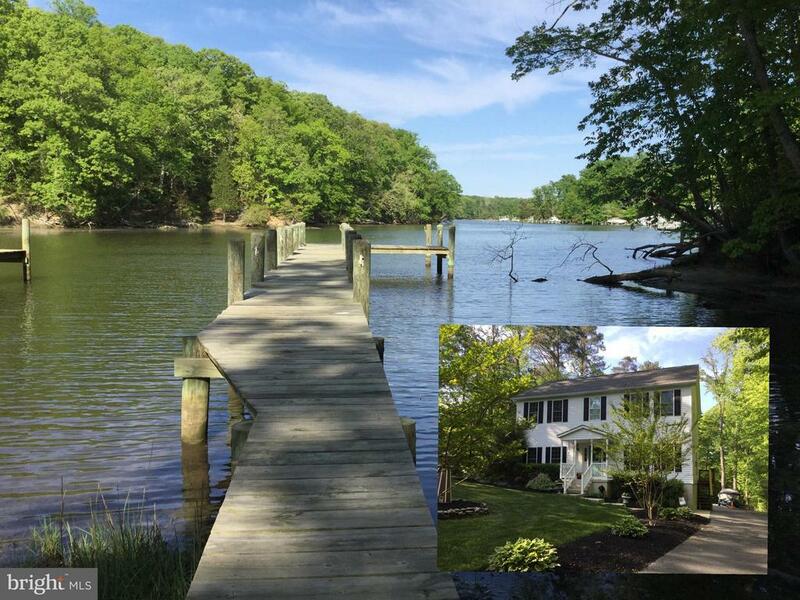 "THIS DOES NOT COME ALONG OFTEN...11.22 acres nestled in the trees with water frontage,pier and floating dock on St Leonard Creek. Property is in DNR Forest Management program so taxes are low. Hunt your own woods, boat and fish from your own pier... Does not get much better than this!! !Open floor plan with master on main level. Great Room with 2 story ceiling, wood burning FP, hardwood floors and lots of windows to enjoy nature. Kitchen with granite, smooth cooktop, Island and breakfast area. Large deck wraps the back side of house. Cedar siding stained 3 years ago. Master BR with whirlpool tub and walk in closet. Upper level has loft for relaxing, and 3 additional bedrooms plus office area and spacious walk in attic ideal for storage. Unfinished basement with wood stove that can help with main house heating if you wish. 4 wheeler, golf cart, pontoon boat and jet skis are all negotiable. Walk the path off of your deck to your private pier or ride your 4 wheeler or golf cart. 7500# boat lift. Gazebo area for relaxing creek front. Unique private property at a great price ready for the next family to make memories and enjoy." "Custom Built Country Victorian Home... Located on over 2 acres in a quiet, serene location. The home is surrounded by woods and nature and is backed by an environmentally protected stream. Many special features include custom crown moulding, beautiful hardwood floors, 2 working fireplaces and 1 decorative fireplace, built in shelving, cathedral ceiling, ceramic tile, 2 kitchens, 2 laundry rooms... and so much more! The main level has many windows allowing for plenty of natural light. The dining room provides an open view of the garden and surrounding back yard. The kitchen boasts maple cabinets, new granite counter tops & dishwasher and breakfast bar. The spacious owners suite is located on the main level and includes a luxury bath with dressing area with double sink in vanity area,a jetted corner tub and separate shower, a walk in closet and a large laundry closet. There is also a large living room on the main level as well as a great room off the kitchen that has a cathedral ceiling and a fireplace with custom mantel and pellet stove. The upper level has 3 bedrooms and 1 full bath with separate vanities for dressing. The rooms are spacious with hardwood floors and have the special architectural features from the Victorian turrets. The lower level provides a complete and separate living area for an in-law apartment or rental opportunity. The flagstone patio and gazebo provide a beautiful outdoor living space. Over 4000 sq.ft. of finished living space! Exterior features include a paved, circular driveway, a wrap-around front porch, back deck with hot tub, a fenced in garden area, oversized detached 2 gar garage w/covered picnic area overlooking garden area, (2) 10' canopy carports to shelter an RV and/or boat, tractor/gardening shed, well maintained above ground Kayak swimming pool, and beautiful stack stone hardscaping around the home and out door spaces. 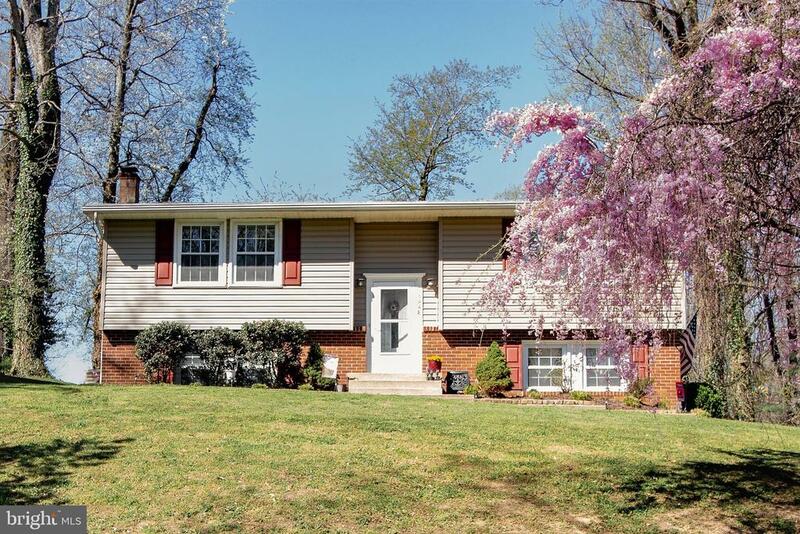 The home is located and a quiet community with top rated schools and is accessible to shoppi"
"If you're looking for a quiet, peaceful, water life... look no further! 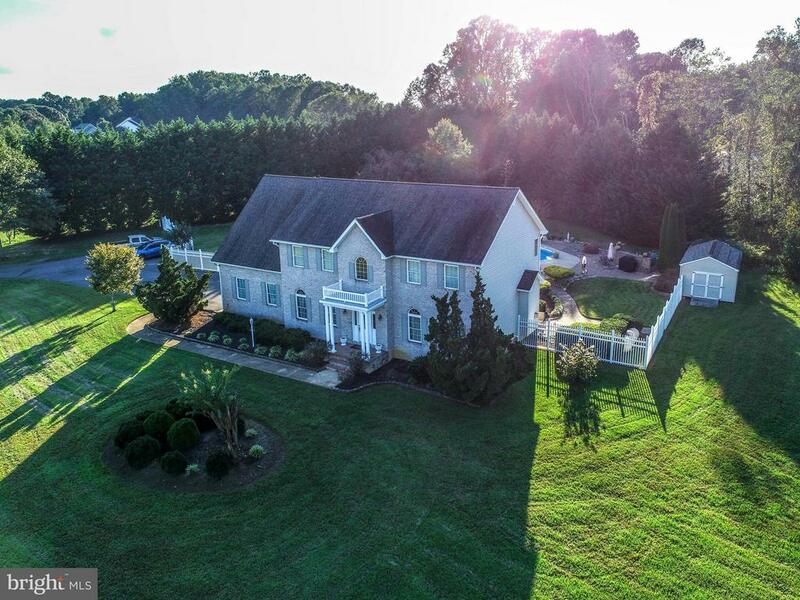 This beautiful 4BR Colonial home sits on a quiet cove off of St. Leonard Creek and offers the perfect, private water life. The dock is perfect for crabbing, kayaking and boating. Great floor plan with large eat in kitchen and ceramic tile floors, sliding glass doors out to a large private deck. A spacious living room and foyer with hardwood floors. Lower level has bonus room and rec area. Super sized garage! 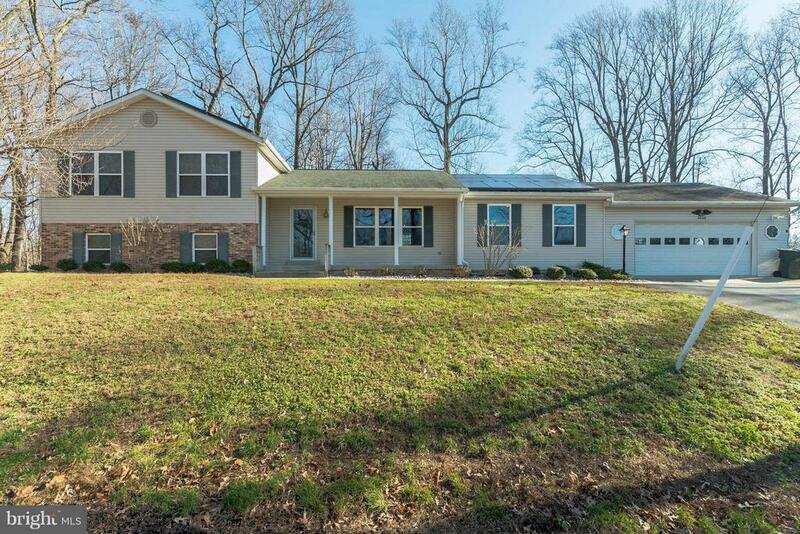 This home is located in a neighborhood, and has a very private yard. Plenty of garage storage and parking for boats or RV's!! Just minutes to Jefferson Patterson Park." "Open floor plan in the sought-after Long Beach Community, Water access w/ fresh breeze, pounding surf, Sandy beach a few feet away. 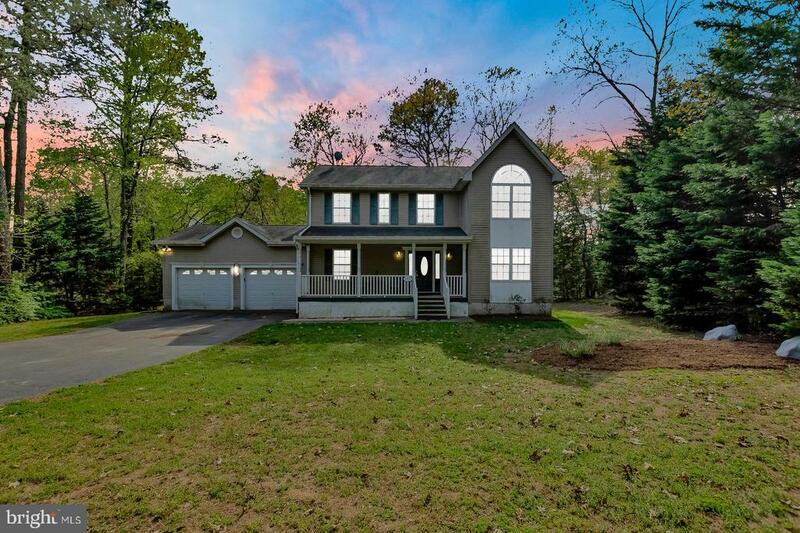 The best views of the Chesapeake Bay from the sun-filled living room with a beautiful fireplace.Hardwood floors throughout. New roof and siding 2018. Enjoy breakfast and a great view in this beautiful kitchen/dining room combo with granite countertop. Enjoy the good life in this nearly century old Maine seaside cottage, located right here in St. Leonard! If there were two words to describe this house they would be craftsmanship and views. Both are almost overwhelming in this house. Pride of ownership and care in craftsmanship are evident in almost every feature, from the beamed ceilings, to the thoughtfully placed windows allowing for a warm cross breeze off the bay. The home is anchored by two focal points, a sweeping view of the bay, and a two story brick fireplace. Together, these elements of fire and water balance the house and it's occupants. While Undergoing a renovation in 1999, this home was updated with every modern convenience, while maintaining the charm of a bygone era. Cherry cabinets, granite counters, and stainless steel appliances are tucked away in an efficient and lovely kitchen. A large table space provides a place to gather with friends and family. Enjoy a cup of coffee while watching the sunrise from the gathering room, or head outside to the garden for a great breeze. Guest bedrooms are tucked behind the fireplace on the main level, along with a full bath. Upstairs, the owner's suite features a loft style bedroom with laundry facilities and a full bath. Hardwood flooring throughout lends to the charm and character of yesteryear, and adds to the ease of maintenance. Take a stroll down to the beach, it's 100 yards away. Set up a blanket and bring a cooler, it's going to be a great day! Lots of off-street parking will accommodate the whole gang. Order some crabs from the Bounty, and eat them in the garden, overlooking"
"Freshly Painted & Move In Ready! 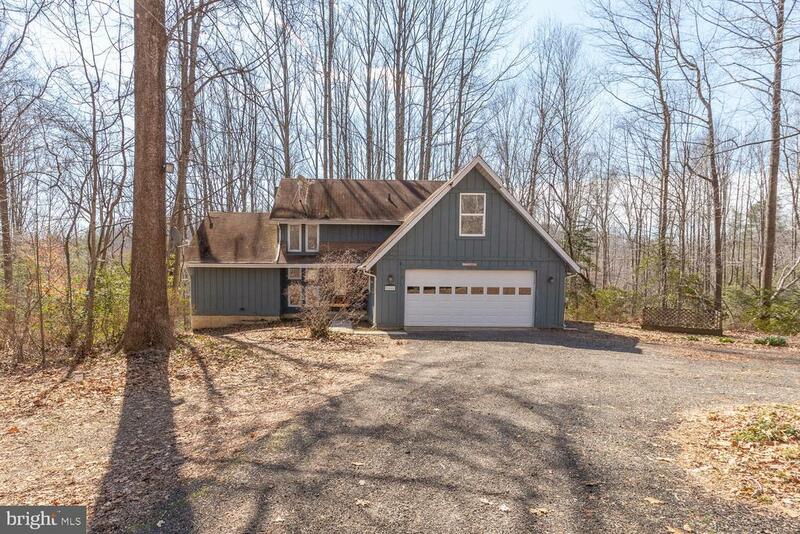 ENERGY EFFICIENT THROUGHOUT this Contemporary home that offers 12+/- Acres of Privacy. 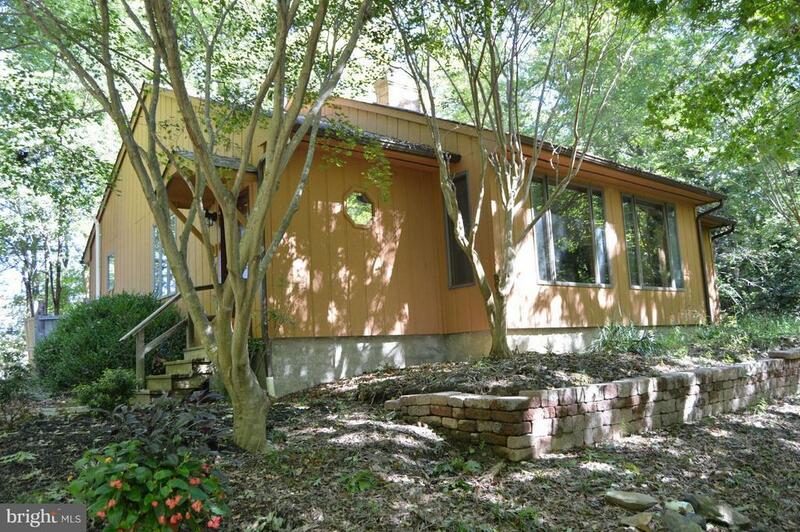 Pristine Passive SOLAR home w/Ceramic Tile & Hardwood Floors. Master Bedroom on main level w/Cypress wood bathroom. Screened porch w/area for hot tub. Nature surrounds this property w/Tidal Marsh, Fields, Barn, Path to Private dock on Creek perfect for Canoes & Kayaks." 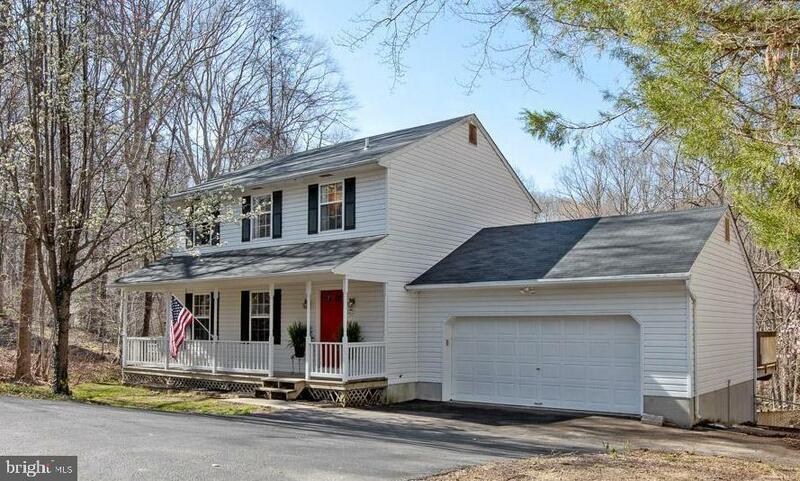 "Enjoy privacy, peace and quiet here in this 3 level colonial with 2 car garage. Walk up to covered front porch enter into foyer. Family room to right spans the length of the home and opens up to kitchen. To the left is formal dining room/flex room and also opens to kitchen. Spacious kitchen includes center island, room for a table and doors leading to large deck. Main level half bath. Upper level features master suite with cathedral ceiling, walk in closet and master bath with soaking tub and separate shower plus double sink. Three more bedrooms and 2nd full bath upstairs. Lower level completely finished with full kitchen, 3rd full bath, flex area, and additional room which could be used as 5th bedroom as well. All this on wooded lot with cleared front yard, paved driveway!" "AMAZING bay views from many rooms in this newly renovated beach cottage in desirable Flag Harbor! 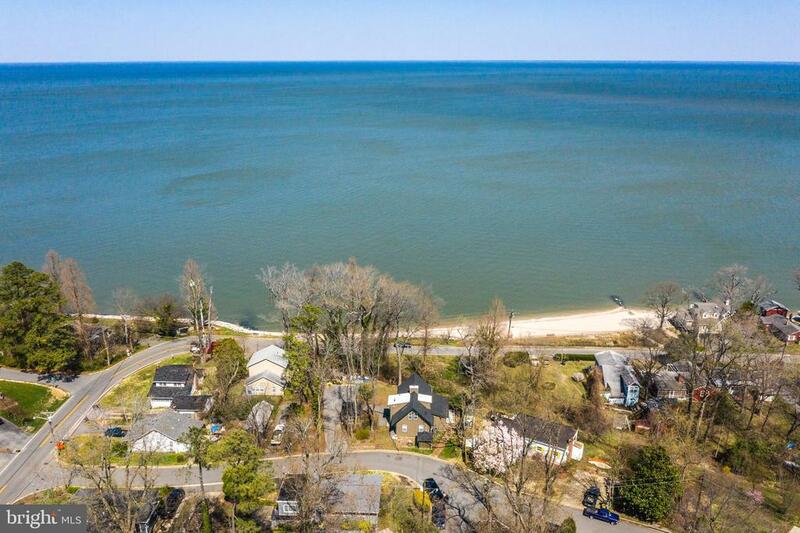 Drive up to the home and see the enormous double lot and the perfectly renovated cottage situated facing the Chesapeake Bay. The beach access is a very short 3 min walk which allows you to take a nice stroll on the beach daily and find sharks teeth or just relax and take in the views. Step inside and you will find this inviting home calling your name with classic finishes such as solid hardwood floors on the main level, lots of windows allowing the natural light shine in, cozy seating area by the fireplace, and a stunning updated kitchen. This kitchen offers all new soft close cabinets, breakfast bar, scalloped tile back-splash, SS upgraded LG appliances and a built in pantry. The soapstone counters are a rare find and a true upgrade you just do not find anywhere. Enjoy the Master Bedroom on the main level with plenty of lighting and windows along with some water views and 2 closets. The bath is nicely finished with soapstone vanity, the vintage classic tile floors and stunning bath/shower combo. On the second floor you have 2 nice bedrooms with a large jack-n-jill bathroom also offering you space and beautiful upgrades. The 3rd bedroom offers a nice deck and some great views of the Bay. A very large unfinished storage area is located on the second level and could be finished for more space. Step out onto your new deck and enjoy this HUGE lot, hard to find, and invite your family and friends over for all your yearly fun. Nice and flat as well perfect for your corn hole and kids play-sets. There is a very large fenced area for a lovely vegetable garden. With the property comes 2 sheds sold as-is. Plenty of opportunity to turn the larger one into a nice workshop. This community is one of a kind and homes like this one do not come available very often and at this amazing price. All the hard work has been done just come and view it, buy it and love it!" "Huge house with new carpet!! 4 bedrooms and 3 full bathrooms. Finished basement, 2 bonus rooms. 2 master bedrooms. 1 master is on the main level with full bathroom and large closet space. Other is on the upper level with 2 other bedrooms. Basement is finished with full bath as well. There is plenty of space with main level having a large family room with bonus room which is the room with the pool table in the photos. There is a enclosed porch off back of home perfect for entertaining and private sanctuary. This house interior ramp off garage and over sized doors. Backyard has workshop with concrete porch. 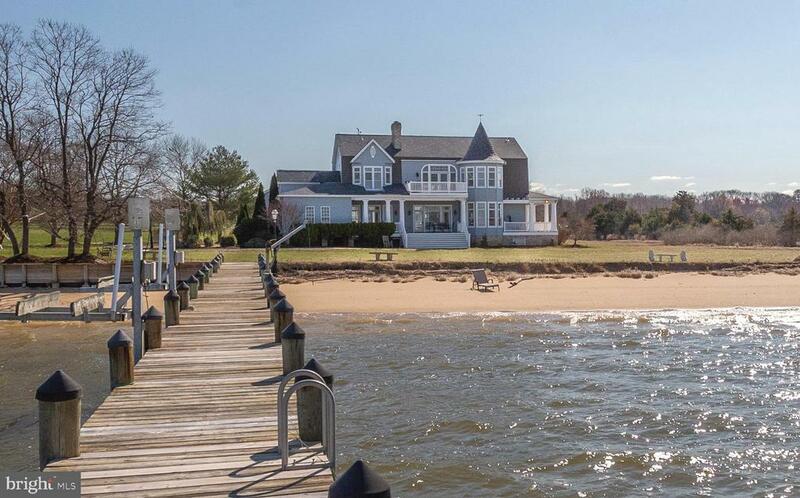 This house is fantastic and in a water community close to Chesapeake Bay. Schedule today, will not last." 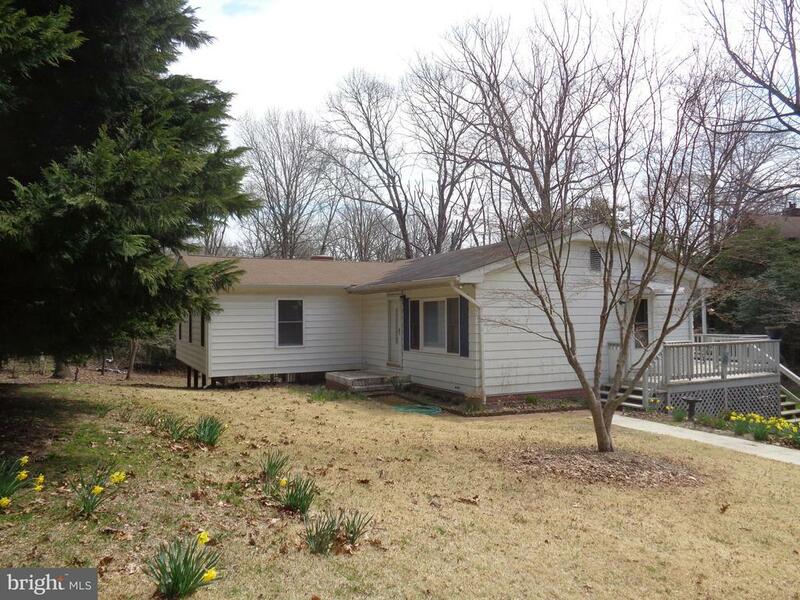 "L shaped 4 BR, 2 bath rambler has big addition! 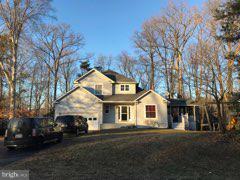 BIG Master BR, expanded 2nd BR, 4th BR in lower level off the Fam Rm that includes masonry fireplace with wood stove insert. Wood floors on most of the main level. Acre plus usable mostly level lot. Over sized garage has workshop space. Includes RV shelter. Beach access & near Flag Harbor Yacht Haven for boaters. Down a private lane with few neighbors. Close to downtown St. Leonard!" "Hurry - this one won't last long! 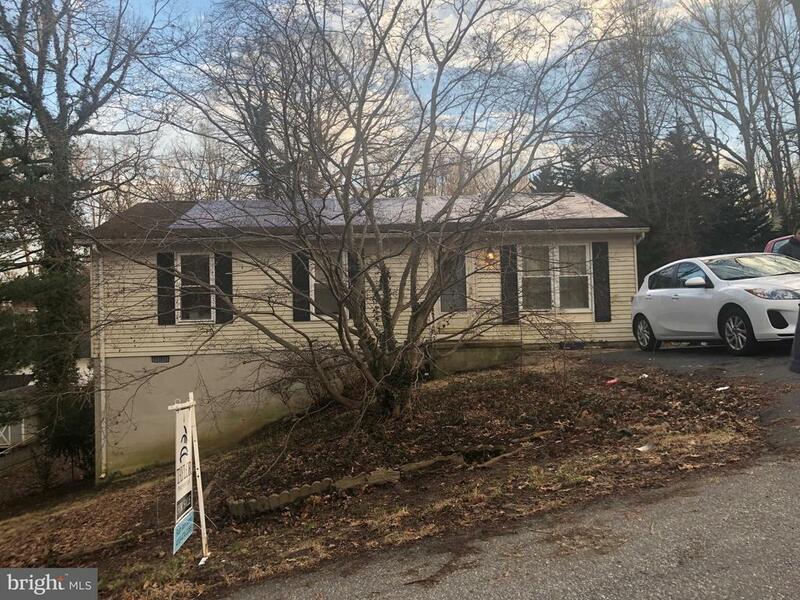 This attractively priced, 3 bedroom, 2 full bath home (plus main level powder room), includes a 2 car garage & room to grow with a walkout basement, that includes bath rough in & potential for 4th bedroom! 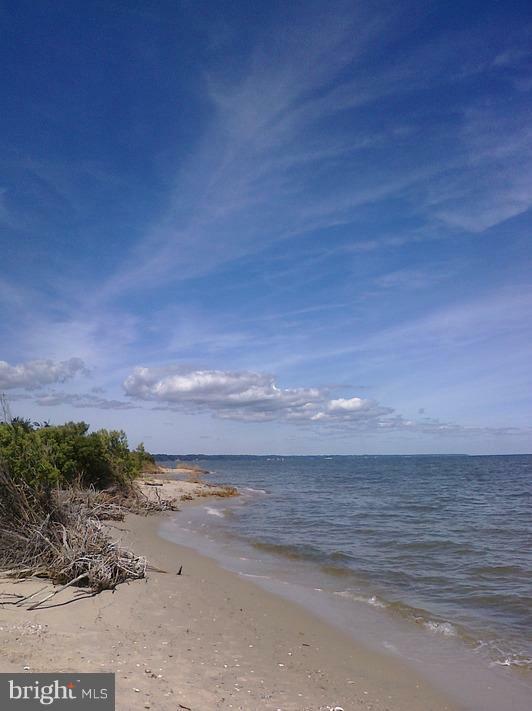 Located within walking distance of sandy private Chesapeake Bay beach. Recent updates include brand new roof, fresh paint, new carpet, & hardware. Enjoy the covered front porch & evenings lingering on the swing. Hardwood flooring runs throughout the first level, where the powder room, kitchen, living/family room & flexible dining/home office space are located. The spacious kitchen provides ample eat in area, a large pantry, & newer appliances. An expansive deck, just off the kitchen, overlooks the fully fenced rear yard, extending outdoor living space & is perfect for warm weather gatherings. Two Bedrooms, a hall bathroom & the Master Suite offer privacy & a view of the neighborhood trees. The generously-sized Master features hardwood floors, a large walk-in closet & a private full bathroom. HSA Home Warranty included. Act quickly before this one is gone!" "Mechanics dream. Split foyer with 6 bedrooms and 3 baths. Over sized detached 2 car garage with 2nd floor. High ceiling with over sized garage doors. Large lot and fenced yard. House has hardwood floors, open floor plan and great deck for entertaining. Home warranty included. Take a look. you will be happy you did." 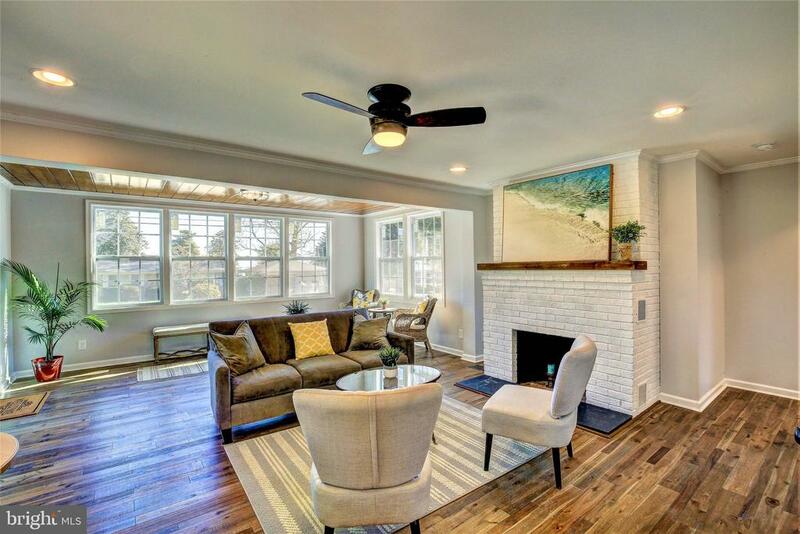 "Lovely, This 5BR/2.5BA contemporary is ideal for entertaining and less than 2 blocks from Long Beach.. The large windows allow for lots of natural light throughout. Stainless and Granite in Kitchen. New roof, HVAC . Huge storage barn.Gas fp in Living Room and wood stove in basement family room." 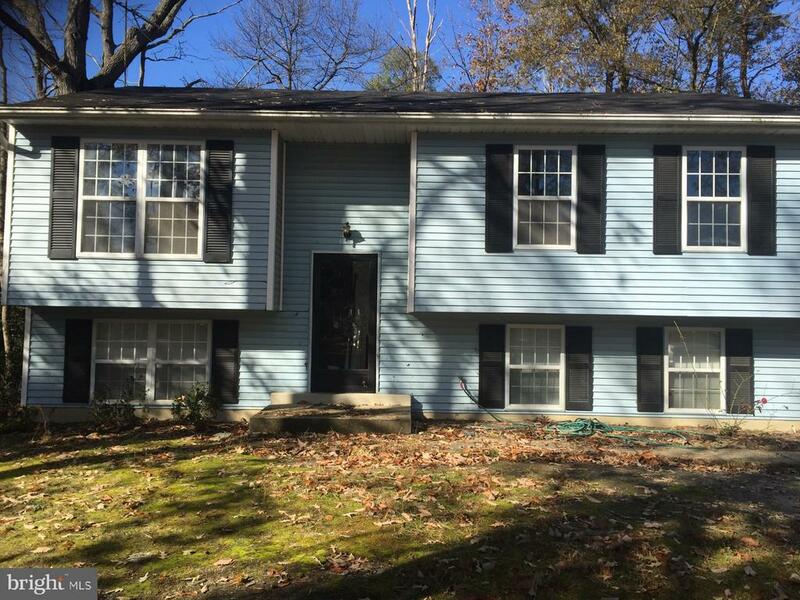 "3 Bedroom 2 Bath with a finished basement to include additional living space/full bathroom. HUD CASE# 244-008699 (IN), EQUAL HOUSING OPPORTUNITY. GROUND RENT/HOA/CONDO FEES/FF Fees if any to be verified by purchaser. All offers submitted to HUDHOMESTORE for bid status and availability visit HUDHOMESTORE.COM Managed by Olympus AMS"
"Super size home for the growing family or those who love to have a place and space for everyone. Kitchen has updated cabinets and gorgeous granite counters. Recessed lighting in living room with bluetooth speakers, woodstove in basement makes for a toasty warm lower level all winter long. Large addition on both levels creates an extra large master bedroom and the lower level could be the ultimate man cave, work room, storage, additional bedroom or whatever your needs may be. Enjoy warm conversations around the firepit in your private. level, back yard. This community offers a small boat ramp for launching jet skis kayaks, canoes, etc. All these features and more are close to shopping and entertainment and short commute to Pax River." "Motivated Sellers! Price Reduction! 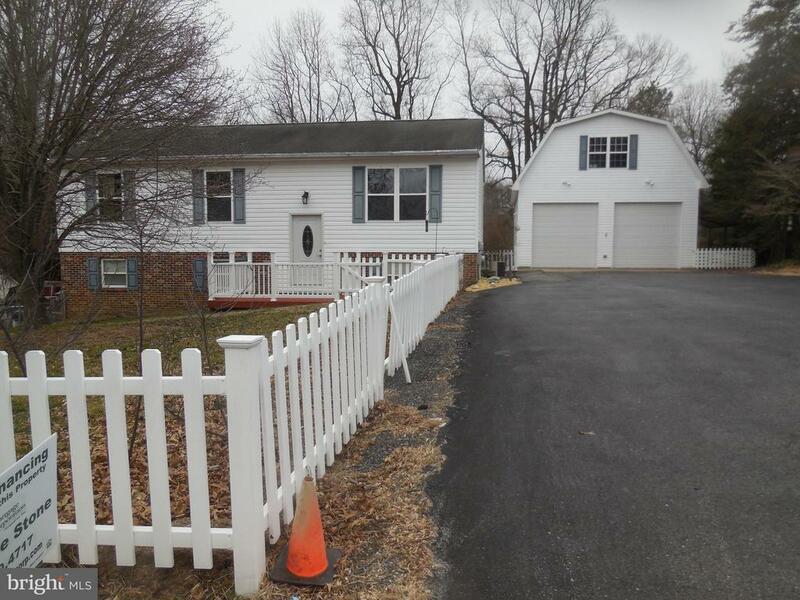 Close to Patuxent River! 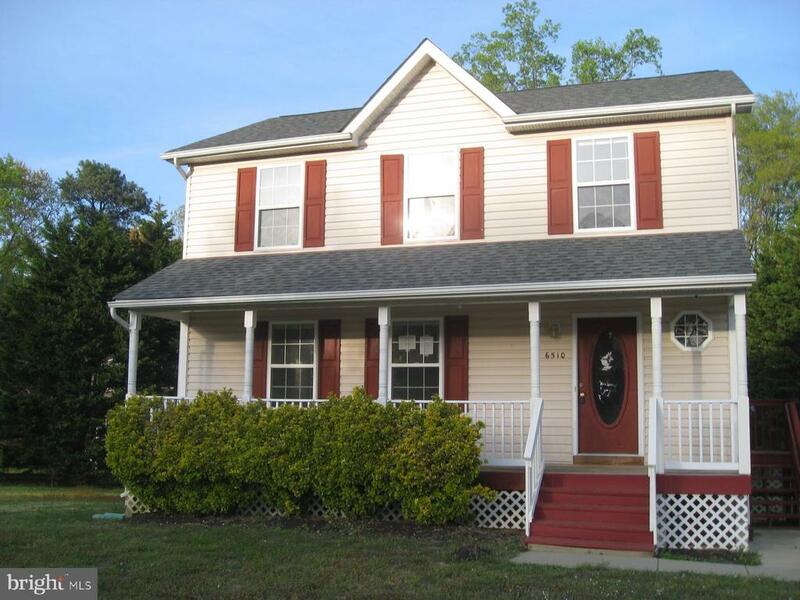 Well maintained 4 Bedrooms 2 Full baths. Large kitchen opens to dining area and living room. A large deck off from kitchen. A fully finished walkout basement leading to a large back yard. Oversized closets & plenty of extra storage space! Seller is offering paint allowance! House Virtually Staged!" "Perfect starter home in quiet community! Neighbors are very friendly. Only 5 minute walk from gorgeous community beaches. Carpeted bedrooms; hardwood floors throughout. Fenced in backyard perfect for pets or young children. Come see your new home today!"